HAIR LOUNGE SALON WAS FEATURED IN THE MAY ISSUE OF DC MODERN LUXURY MAGAZINE AND A TOP PLACE TO SHOP FOR A SERVICE IN THE DISTRICT. SALON OWNER AND REKNOWN STYLIST DANIEL LEVY USES A SPECIAL BLONDPLEX FORMULA TO CREATE CUSTOM GORGEOUS LOOKS FOR ALL HIS CUSTOMERS. HAIR LOUNGE SALON WAS HONORED TO ACCEPT DC MODERN LUXURY'S BEST SALON FOR BLONDES AWARD IN THEIR JUNE 2016 ISSUE. OWNER DANIEL LEVY PROUDLY COINED THE TERM UPPER NORTHWEST BLONDE AND IS KNOWN FOR CREATING THE PERFECT BLONDE HIGHLIGHTS USING A CUSTOMIZED FORMULA FOR EACH OF HIS CLIENTS. TO GET THE PERFECT SHADE OF DC BLONDE, BOOK AN APPOINTMENT AT HAIR LOUNGE SALON. WE LOATHE ANYTHING THAT SCREAMS “DYE JOB”. FORTUNATELY, SALON OWNER SUT DOES, TOO. HE ASSESSED OUR WINTER-DRAB BROWN HAIR AND RECOMMENDED A SINGLE-PROCESS CHESTNUT TO COLOR PRESERVE THE LINGERING HINT OF AUBURN. WE’D BARELY NODDED OUR APPROVAL BEFORE WE BEGAN MIXING UP A HUE THAT HE SWIFTLY APPLIED FROM OUR ROOTS TO OUR END. IN JUST 20 MINUTES, OUR IMPOSSIBLY SOFT AND NEWLY RADIANT HAIR SCREAMED “GORGEOUS”. $85 AND UP. HAIR LOUNGE IS SO HONORED TO HAVE BEEN ABLE TO ASSIST THE WIVES OF OUR NATION’S MILITARY ON FRIDAY MARCH 22ND. WE PARTNERED UP WITH LUKE’S WINGS ORGANIZATION AND TREATED 4 WOMEN TO A MAKEOVER AND HAIR STYLING, WHILE OUR FRIEND LIZZETH GUTIERREZ PROVIDED THEIR MAKEUP. TAKE 5 BOUTIQUE, WHO BRINGS EUROPE’S HIGH FASHION TO BETHESDA SO GRACIOUSLY STYLED THE WOMEN FOR THE EVENING AND GIFTED THEM THEIR OUTFIT SELECTIONS! THIS TRULY WAS A SPECIAL EVENING AND SUCH AN HONOR. GREAT HAIR SEEMS TO COME EFFORTLESSLY TO THE STYLISTS AT HAIR LOUNGE. THEIR STYLES ARE MODERN AND POLISHED, AND LEAVE YOU POISED FOR A PERFECT STROLL DOWN THE AISLE. CONSULT WITH THEM EARLY TO DECIDE ON YOUR IDEAL ‘DO’. WE START WITH THE INITIAL CONSULTATION, BUT WE CONTINUE THE PROCESS, LEVY SAID. WE HAVE OUR COLORING TECHNIQUE, AND AFTER EACH COLORING WE GIVE A TREATMENT TO ENSURE THAT THE HAIR IS SHINY AND SOFT. WE TAKE EACH STEP SERIOUSLY. SERVICES INCLUDE TRADITIONAL CUTS, BLOW-DRYING AND STRAIGHTENING TECHNIQUES, AS WELL AS A VARIETY OF COLOR TREATMENTS.  STYLISHLY DESIGNED WITH CONTEMPORARY LIGHTING AND FURNITURE, THE HAIR LOUNGE AT 2201 WISCONSIN AVENUE, 202-337-0951, NEXT TO THE WORLD OF WINDS, OPENED ALMOST TWO MONTHS AGO. JUDGING FROM THE WELL-ATTENDED GRAND OPENING ON JANUARY 11, THE SALON ALREADY HAS A LOYAL FOLLOWING. THEIR SPECIALTY IS HAIR COLOR, BUT ALL THE SERVICES ARE OFFERED. OUR VERY OWN DANIEL LEVY WEIGHS IN ON SIMPLE, ROMANTIC HAIR STYLES FOR THE INAUGURAL LOOKS. WHEN TALKING ABOUT REALITIES OF INAUGURAL HAIR, HAIR LOUNGE SALON’S DANIEL LEVY MAKES A VALID POINT. “THE STARS HAVE 20 HAIRDRESSERS, THEY HAVE A FULL STAFF WITH THEM, AND YOU DON’T,” HE TOLD YEAS & NAYS. “DON’T TRY TO DO SOMETHING THAT’S TOO COMPLICATED, DON’T GO SOMEWHERE AND HAVE 20 DIFFERENT THOUSAND CURLS ON YOUR HAIR, KEEP IT AS SIMPLE AS POSSIBLE AND MAKE IT ALL ABOUT THE DRESS AND HAVE BEAUTIFUL MAKEUP,” LEVY, WHO CO-OWNS THE GEORGETOWN SALON, SUGGESTED. THE CW WASHINGTON, DC PRODUCED A PROMOTIONAL TELEVISION COMMERCIAL IN COLLABORATION WITH HAIR LOUNGE. THE COMMERCIAL WAS SHOT ON LOCATION AT HAIR LOUNGE SALON. THE PROMOTIONAL SPOT RAN ON THE CW, WASHINGTON DC. THE SERVICES OF DANIEL LEVY ARE QUITE A GEM.